Take Back Your Day! Don’t Let PMS and Cramps Control Your Life! PMS Relief tastes great. 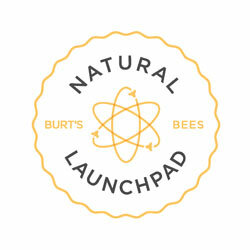 Fast Natural PMS Cramp Relief That Really Works! 100% Natural PMS/Cramp Relief for all your menstrual cycle related symptoms. Our all natural Chinese herbs are highly concentrated. 1 Packet per day is enough for most gals. Use right before cycle and first day or two of cycle. A 10 packet box will last most women 2-4 cycles. Average use is 1-3 packets per month. Simply mix the powdered herbs in warm water and drink as a tea. Packets are convenient to carry, easy to use and give you relief in about 20 minutes. Best taken at onset of symptoms. 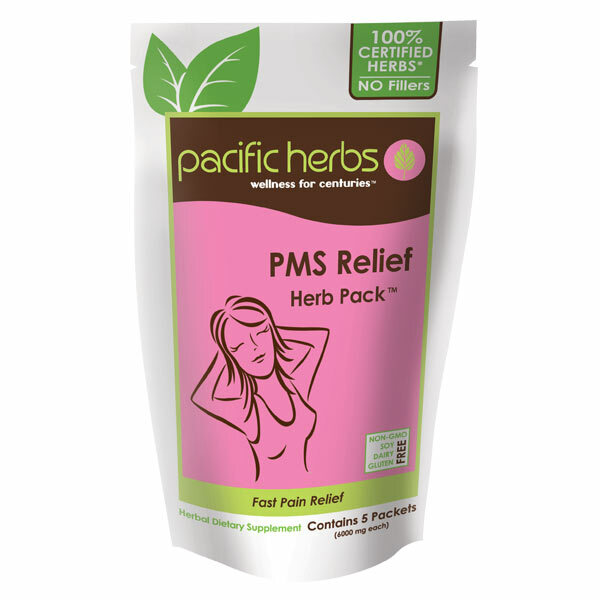 After 2-3 months of using PMS Relief Herb Pack you may find you don’t as much as before. Often your menstrual cycle will normalize after several months and you may not need it at all. PMS Relief Herb Pack can also be used in the middle of your cycle at ovulation for moodiness and irritability. 1 Packet at this time is just the right dosage. 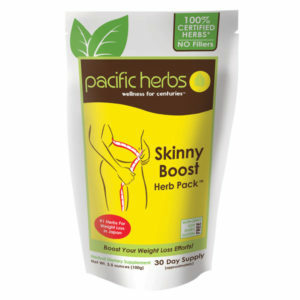 Pacific Herbs PMS Relief Herb Pack are the safest most reliable method to help your body function naturally at its peak. Herb Pack soothes and naturally balances your body, you barely notice you even have your period. Take at the onset of menstrual cycle and as needed during your cycle. So Easy!! 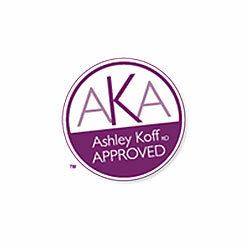 100% Satisfaction Guaranteed or receive a full refund. There are various ways to take care of yourself and a variety of ways to reduce your PMS symptoms. Eat healthy foods, exercise, maintain a healthy weight, reduce your stress, get enough sleep are all good. But, sometimes even when you are doing everything you can, you still need help to get you through those 5 days a month. Over the counter pain reliever only mask symptoms for a few short hours. Herbs balance the body and help you feel better the entire month. (Read why you should avoid over-the-counter pain relievers like acetaminophen & ibuprofen.) We pride ourselves on our personalized service, attention to detail. We have done the research and chosen the most dependable, qualified supplier in the world. Using the latest technology you receive potent herbs without fillers for maximum therapeutic effects. (See factory video tour here.) Our commitment: To provide the finest quality Chinese herb natural supplements. 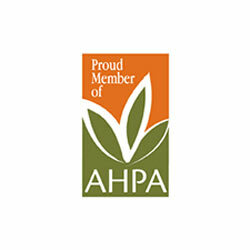 Our manufacturer: Kaiser Pharmaceutical Company (KPC) has rigorous standards and performs over 200 tests on each batch of raw herbs before the herbs qualify for a Pacific Herbs PMS formula. 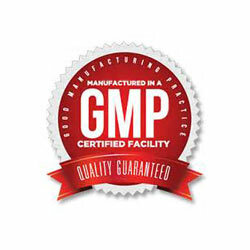 Our manufacturer is cGMP certified along with ISO and TGA certified. Each Packet contains 6 grams of cooked, dried, herbal extract. See the ingredients Tab above for more information on each herbal ingredient. PMS Relief Herb Pack is Based on Scientific and Clinical Research. 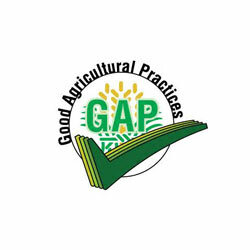 Click here for study links and research documentation. Traditionally known as Xiao Yao San, Xue Fu Zhu Yu Tang & Tao Hong Su Wu Tang Each PMS Relief Herb Pack contains 6 grams (6000 milligrams) of concentrated herbal extract. Abundant research has been done on Bupleurum root used to treat headaches, liver cirrhosis, jaundice, common cold and irregular menstruation with pain and cramps (to name a few) in Traditional Chinese Medicine. (TCM) This medicinal has demonstrated anti-inflammatory properties, along with sedative and analgesic effects. Bupleurum is used in TCM to spread the liver qi and relieve the liver qi stagnation. With other herbs in this formula its primary addresses reducing painful menstrual cramps. Mugwort can be used wherever a digestive stimulant is called for. It will aid the digestion through the bitter stimulation of the juices whilst also providing a carminative oil. It has a mild action in aiding depression and easing tension, which appears to be due to the volatile oil, so it is essential that this is not lost in preparation. Mugwort is also commonly used as anemmenagogue in the aiding of normal menstrual flow. The roots and flowers of Paeonia officinalis have been used in European herbal medicine for centuries. White Peony root has been used in connection with the following conditions; muscle cramps, fever, atherosclerosis, polycystic ovary syndrome and PMS. It has been an important remedy for female reproductive conditions ranging from dysmenorrhea (painful menstruation) to irregular menses. Studies show the major effect of white peony is to calm nerves and alleviate spasms. Peony contains a unique glycoside called paeoniflorin. Proanthocyanidins, flavonoids, tannins, polysaccharides, and paeoniflorin are all considered to contribute to the medicinal activity. Peony shows some weak estrogen-like effects, acting like a very weak anti-estrogen, particularly as part of a formula. In a preliminary study, it was shown to improve fertility in women affected by polycystic ovary syndrome. Three similar plants are all called peony, and different parts are used in some cases. The bark of the root of Paeonia suffruticosa is called moutan or mu dan in China, where it naturally grows. Red peony root comes from wild harvested Paeonia lactiflora or Paeonia veitchii. The bark, red peony root, and white peony root all have somewhat different properties. The color indicated does not refer to flower color. Chi shao or red peony is used for bleeding or lack of blood movement, depending on how it is prepared in Chinese Medicine. Red peony root and moutan bark have both shown antioxidant activity in test tubes, likely due to the presence of paeoniflorin, proanthocyanidins, and flavonoids. Polysaccharides found in peony bark and root have shown an ability to stimulate immune cells in the test tube. Many clinical studies have been conducted on this medicinal root. Corydalis has been used extensively in the treatment of coronary artery disorder because of its strong function to move blood and energy. In Traditional Chinese Medicine, pain is the symptom that manifests when energy is stagnate. Corydalis is one of the most effective herbs to relieve pain because of its ability to move the energy or qi. It has been used in gynecological conditions extensively and is often combined with other Chinese medicinal herbs in this formula for pain related to menstruation. Published in Current Biology Journal January 2014 – Corydalis root which has been used for centuries in Traditional Chinese medicine for headaches, menstrual cramps and as a general pain reliever. The department of pharmacology at the University of California Irvine’s School of Medicine confirmed in a recent research study, chemical compounds in this herb are excellent pain relievers. But what makes Corydalis most exceptional is it has no harmful side effects when used properly, it does not cause dependence and the mice in the study did not build up a resistance to this herb. This herb is the bark of the root Paeonia suffruticosa. Chinese Medicine says this herb invigorates the blood and moves the blood. When combined with other herbs in this formula its famous for relieving menstrual abdominal pain from amenorrhea and menorrhagia to excessive menstrual bleeding. Licorice has a long and highly varied record of uses. It was and remains one of the most important herbs in Traditional Chinese Medicine. It is said this herb goes to all twelve channels of the body, a claim given to only a few Chinese herbs. By entering all body channels this herb is often used for its guiding actions to help other herbs enter into channels they would otherwise not normally affect. This is the beauty of Chinese herbal medicine, its ability to combine herbs in formulas to achieve actions they might otherwise not be able to do alone. Licorice has a sweet flavor, sweet Chinese herbs are helpful in tonifying the pancreas. In PMS Relief licorice is important because it moderates spasms and alleviate pain, especially in the abdomen and legs. The two major constituents of licorice are glycyrrhizin and flavonoids. Flavonoids are antioxidants known to improve circulation and relieve tissues damage and have a role in reducing inflammation. Other good sources of flavonoids include onion, garlic, basil, spinach and green leafy vegetables. Dang Gui (AKA Dang Quai) functions as an anti-inflammatory, pain reliever and is the most important herb in Chinese herbal medicine for women’s ailments. Dang Gui in Traditional Chinese Medicine (TCM), is often referred to as the female ginseng. It is often included in herbal combinations, almost never used alone, for abnormal menstruation, suppressed menstrual flow, painful menstruation and uterine bleeding. It is also used in TCM for both men and women with cardiovascular disease, including high blood pressure and problems with peripheral circulation. Dang Gui is believed to have an adaptogenic effect on the female hormonal system. This herb is commonly combined with Dang Gui for irregular menstruation and dysmenorrhea. This herb has a major role in regulating our liver energy and is known for not only stopping the pain associated with our menstruation but also the ability to help regulate our menstrual cycles. Its actions are intensified when combined with other herbs such as Dang Gui and Bupleurum. The Grand Materia Medica written approximately 200 AD states that Cyperus is the “Commander-in-Chief of Qi disorders, and for gynecology, the Supreme Leader.” It is also called an “immortal herb for women” as far back as 1550 AD. Cyperus’s known chemical constituents include volatile oils, flavonoids and proteins. Peach kernel is very useful in a broad range of blood circulation applications. Menstrual pain, amenorrhea or irregular menstruation are all improved when blood is flowing more freely. This herb invigorates the blood and in so doing relieves the pain. It is commonly used for traumatic sports injuries with bruising and pain. It is believed its effectiveness stems from its marked anti-inflammatory influence. This red flower has properties of warmth and acrid, meaning it can invigorate the circulation of the blood. In China it has been used in obstetric and gynecological departments in both small does to activate and nourish blood and in larger doses to alleviate pain, especially in the abdomen. Originally documented in 659 AD, today we know it also has positive effects for cardiovascular output. It is commonly used with peach kernel for its synergistic effects. Scientific research has shown positive success in carthamus increasing coronary blood flow and its effects on lowering cholesterol. Achyranthes has a long history of use for maintaining healthy blood flow. Its most common uses are for invigorating the blood, unblocking the menses and moving the blood in the channels especially in the low back. This herb is wonderful for pain related to trauma because it works quickly by increasing blood flow. Recent research shows Achyranthes has an abundance of polysaccharides which enhance red blood cells and effect platelet aggregation. It is best for relieving pain, reducing inflammation and lowering blood pressure. (published in the Journal of Chinese Medicine, 8 (3): 165-167, 1997). Dipsacus is commonly used in conjunction with Niu Xi above, to enhance the effects of both herbs. Dipsacus treats both the liver and kidney channels, key components in menstrual irregularities. Being sweet and slightly warm it can strengthen the enhance yang energy. (Women are predominantly yin and can always use more yang energy). Dipsacus promotes blood circulation without the sticky properties of some herbs. Its main Chinese medicine functions include tonify the liver and kidneys, strengthen sinews and bones and gently invigorating blood, and alleviating pain. Ligusticum is a widely used blood tonic and is especially common in women’s formulas in Traditional Chinese Medicine. It improves blood circulation and has been studied extensively in for heart circulation because of its profound effects (along with ginseng) for myocardial circulation. Ligusticum is related to Dang Gui (above) because it shares some of the same characteristics. But Dang Gui is a stronger blood tonic while Ligusticum is a strong blood mover and analgesic (pain killer). Liguisticum can treat all types of headaches and is one of the best herbs for menstrual conditions because it warms the uterus and de-congests blood in the pelvic region. These statements have not been evaluated by the Food & Drug Administration. This product is not intended to diagnose, treat or cure or prevent any disease.